To connect to a running MongoDB Enterprise instance with your local development tools, you can use the cf ssh feature of the cf CLI. New versions of MongoDB Enterprise will be announced in the newsletter as soon as they are available. The upgrade to the new version is done through the CF CLI by running the update service command. This command will always upgrade the binaries to the lastest available version. To ensure the compatibility with your application MongoDB provides a feature flag for breaking changes which is called “featureCompatibilityVersion”. You can either upgrade the service to the new version without changing the feature compatibility or upgrade both. As a MongoDB Enterprise customer, you receive access to the Ops Manager to see detailed performance metrics and health state. To connect to the Ops Manager to get insights into your MongoDB, you can use the cf ssh feature of the cf CLI. Our MongoDB Enterprise offering consists of 3 dedicated VMs configured as a replicaset. There is a known bug regarding host mappings. When the deployment overview shows incorrect information, you need to delete the host mappings on http://opsmanager.service.consul:8080/v2/$GROUP_ID#deployment/hostMappingTab. Please replace $GROUP_ID with your actual group ID. On the MongoDB replicaset you will receive the role readWrite@rs_DBNAME. 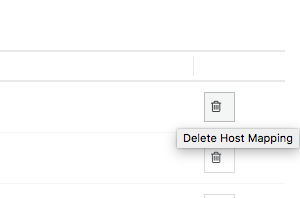 On the MongoDB Ops Manager you will receive the role Monitoring Admin. Please read Replica Set Read and Write Semantics. We recommend a “Write Concern” of majority to avoid Rollbacks During Replica Set Failover. Please check your Ops Manager metrics and graphs regularly. The performance statistics are particularly important after app deployments. It’s critical to find a driver that is well-maintained and stays up to date with the latest MongoDB features. Without question, the most common database performance issue is improper indexing (or a complete lack thereof). Have a look at Indexes docs.